system drawing from existing disciplines such as yoga. His emphasis was on control and form to strengthen and stretch key muscle groups. Ahead of its time, the Pilates system, originally known only to dancers and athletes, is now mainstream and sought out by many looking for greater body awareness. "I am blessed to have Susan Kain teaching Yoga + Pilates. Susan, is patient, caring, and easy to understand. At 79, my body 'ain't what it used to be', but, with Susan's patient instructions and happy beautiful spirit, my body moves better and aches and pains are few. She is truly a miracle maker." 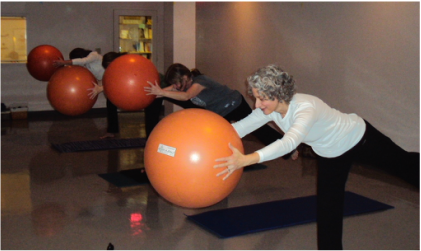 Learn the fundamentals of Pilates' mat based exercises. Emphasis will be placed on your POWERHOUSE - your pelvic 'floor', your diaphragm 'roof', your front abdominal and back 'walls'. Modifications will be provided for each exercise. What might you expect from this class? .East meets West in Yogalates, a combination of the best of the disciplines of yoga and Pilates. By fusing yoga, the 5,000 year old tradition from India with Pilates, a system of exercises developed in the 1920's by Joseph Pilates, participants look to gain strength, stability, flexibility and stress reducing techniques along with particular attention given to the core muscles. 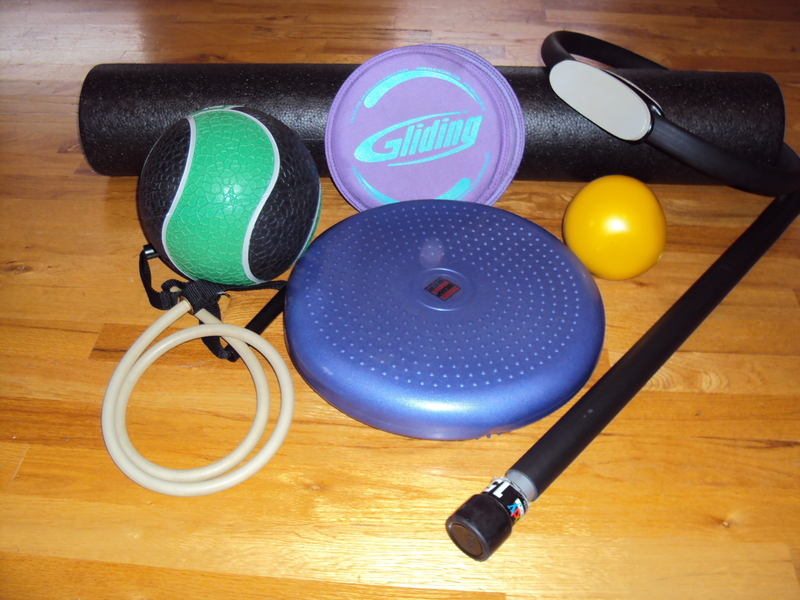 Additional equipment such as bands, circles, dumbbells, stability and weighted balls may be incorporated.